The junior class is in full swing with preparations for Prom 2019 on May 18th. Ticket sales are from April 5th through May 3rd. 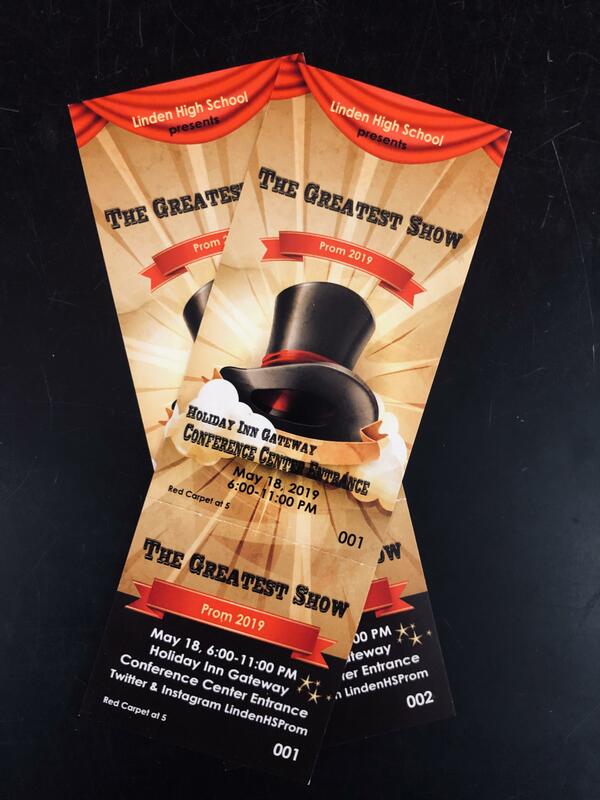 The theme for the 2019 Prom, held on May 18th at the Holiday Inn Gateway Conference Center on Hill Road, is The Greatest Show. The Red Carpet begins at 5:00 p.m. and dinner is served at 6:00 p.m. The dance ends at 11:00 p.m.
Tickets go on sale beginning Friday, April 5th for a super early-bird special price of $45 through April 18th. Tickets can be purchased April 22nd - 26th for $55, and for $65 from April 29th - May 3rd. Students and parents should refer to page 42 of the Parent/Student Handbook for a complete list of behavior expectations at dances as well as attendance requirements. Students must pay all outstanding fees and fines before purchasing tickets. Notice of outstanding fees or fines are sent to student gmail accounts every Monday. Students can also view outstanding obligations at any time by logging into their Destiny account. Students wishing to bring a guest who does not attend Linden High School must complete a Guest Pass for Dances. Approval is required and may take up to 48 hours to complete. See the link below to print a copy of the Guest Pass for Dances.